Over the next five years every one of Northamptonshire’s 65,000 street lights will be removed, replaced and/or upgraded. Northamptonshire County Council in partnership with Balfour Beatty will carry out the work which will reduce the county's carbon emissions, save on energy costs and create a safer and more pleasant environment for everyone. The work will involve installing new street lights and removing the old ones once they are up and running. The new lights will use the latest technology to deliver more effective white light to improve night time vision and colour recognition. In a bid to reduce energy consumption all the county's traffic bollards will gradually be replaced with solar powered bollards lit with LED’s and in the early hours of the morning residential street lights will be dimmed. Also the lights will switch on slightly later and switch off a little earlier. 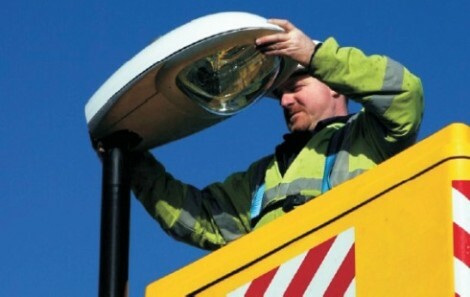 The Private Finance Initiative (PFI) will allow Northamptonshire County Council to carry out vital improvements and maintenance to street lighting and will introduce state of the art technology for early detection of defective lighting. "Good street lighting is vitally important to reducing road accidents, crime and the fear of crime. We will continue to invest in transport infrastructure that improves safety and provides reassurance to local communities." "We look forward to a long-term partnership with Northamptonshire County Council to transform the County's street lighting. We will create local employment opportunities and develop infrastructure within the area to enable us to deliver the contract."